The new ProMax generators feature a Briggs & Stratton premium-grade Vanguard engine ranging from 6.5 to 16 gross horsepower (5 to 12kW). Briggs & Stratton has launched a new range of generators designed with power, performance and value top of mind. 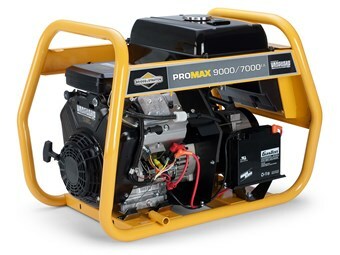 Each model of ProMax generator features a Briggs & Stratton premium-grade Vanguard engine ranging from 6.5 to 16 gross horsepower (5 to 12kW). "Most importantly, they have been designed to not only meet, but to exceed the Australian standard," Briggs & Stratton’s Victorian Sales Manager Grant Buck says. The standard (AS2790-1989 electricity generating sets transportable — up to 25kW) calls for a minimum of IP23, but the ProMax range is rated at IP66. "This means we can safely sell them in any state of Australia," Buck explains. "And we expect the IP66-rated outlets/single circuit breaker, combined with the optional residual current device [RCD] single point lifting hook, to be a popular feature." The new range of ProMax generators came about due to customer demand. They are ideal for tradesmen, hire companies and anywhere that professional, high-performance site power generation is required. "In addition, the Vanguard engine is serviceable with the assurance of our reliable national dealer network — including labour and parts," Buck adds. 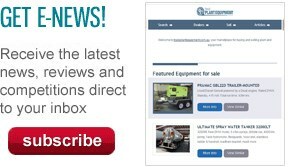 Click here to find generators for sale.